The Oslo Accords were hailed as the start of a lasting peace in the Middle East and these new set of negotiations marked a new era in world politics because Palestinian and Israeli leaders were forced to recognize each other’s legitimacy. Palestinian and Israeli leaders were forced to recognize each other’s legitimacy. Israel embarked upon negotiations for redeployment of Israeli troops from the Occupied Territories, which was a policy shift from previous Israeli assertion that Jordan was the true Palestinian homeland. Palestinian claims for political power in the Occupied Territories were recognized as baseless. Israel’s Labor Party is given the credit for initiating the Oslo negotiations. However, while Labor leader Yitzhak Rabin is responsible for opening secret dialog with the Palestinian Liberation Organization that led to Oslo, his policies during the interim period illustrate Labor’s lack of commitment to the philosophy of the Oslo Accords. Oslo states that agreements will be “guided by the principle that [Israel’s] military forces should be redeployed outside populated areas”. The Oslo Accords have been a major cause of disagreement between Israel’s Labor and Likud parties. The conservative Likud leaders protested the negotiations, claiming that the Palestinian Liberation Organization was a terrorist organization and should not be dealt with. In addition, Palestinian claims to self-governed homeland were considered moot, since Likud policy holds that the Palestinian homeland is in Jordan. The Labor Party, however, characterized as much softer on Palestinian issues, has supported negotiations that will bring an end to costs of conflict. This stance aided the Labor Party in elections, as they were able to garner Arab and Israeli votes from those seeking peace. Although criticized by Likud leaders, Labor policies included the continued movement of Israelis into Occupied Territory settlements. The Oslo Accords, agreed upon by both parties, call for redeployment of Israeli military forces prior to elections for leaders of the Palestinian Authority. U.S. and Palestinian Israeli Conflict research papers are complex because of the political aspects of the conflict. Terrorism - More simply, a terrorist act is a violent act that hurts and scares people and that is committed by one or more members of a terrorist group. Order a research paper on terrorism from Paper Masters. Charles D. Smith's Palestine and the Arab-Israeli Conflict - When writing a research paper on the Palestine and Arab-Israeli conflict the paper would be incomplete without discussing Smith. Anwar Sadat - The peace treaty led to his receiving the Nobel Peace Prize, along with Israeli Prime Minister Menachem Begin, with Sadat's influence. Yom Kippur War research papers examine the Arab-Israeli conflict fought between October 6 and October 25, 1973. Camp David Negotiations - Two countries had been at war with one another since Israel was established in 1948 and the Camp David Negotiations were needed. 1978 Camp David Negotiations - Focus on the 1978 Camp David Negotiations between Israel & Egypt. Many aspects of the 1978 Camp David Negotiations can be covered. Palestinian Arab Workers research papers on the unionization of workers in Palestine. Zionism is an old concept. It is related to the ancient hill in the bible: “Zionism, movement to unite the Jews of the Diaspora (exile) and settle them in Palestine. Palestinian Intifada research papers discuss the uprising against Israeli. The levels of violence have ebbed and flowed in this conflict. 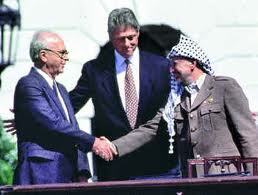 Paper Masters writes custom research papers on the Oslo Accords and discuss the start of the peace in the Middle East.